I love Thanksgiving. The last several years I have gotten to play host and I LOVE it...I know shocking, right? Haha. 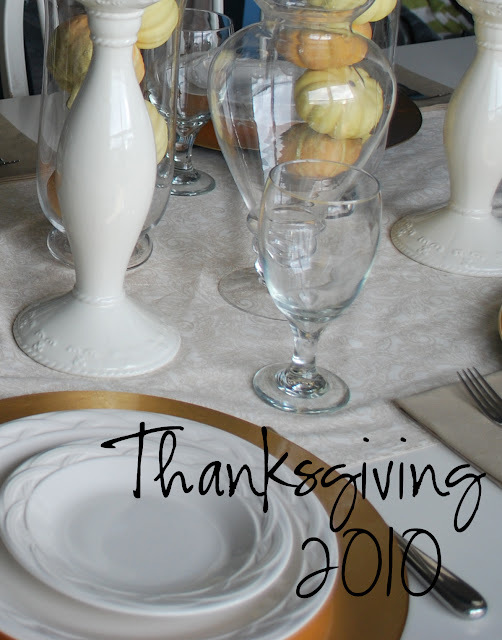 So I figured for Recipe Thursdays this month, plus an extra day each week I am going to showcase a Thanksgiving recipe I use and then list some other options of the same menu item that I have used or that simply sounds yummy. So break out your pen and paper. Start jotting down and formulating your Thanksgiving menu. because Thanksgiving is only three weeks away. Today lets plan our SALAD menu. Salads are a great part of your Thanksgiving menu. There are SO many kinds of salads that if you pick a couple you are sure to please everyone's tastes. Today's feature salad recipe is one I have posted before, but honestly it is my favorite salad for fall so I am posting it again. It is DE-lish and it is lovely to look at...just like me..hehehe. CRUST: mix pretzels, butter, and 3 T sugar. Press mixture into a 9 x 13 pan and bake for 7 minutes. Set aside to cool. CREAM CHEESE: In bowl, beat together the cream cheese and 3/4 cup sugar. Fold in the whipped topping. Spread over cooled crust. Refrigerate until well chilled. JELLO: In a small bowl, dissolve the gelatin in the boiling water, and allow to cool slightly. Add the raspberries. Pour over cream cheese mixture. Refrigerate until serving time. Cut and serve with whipped cream. Hopefully this list will help with your Thanksgiving Menu. If you have any salad favorites I would LOVE to hear about them. Mmm! I CANNOT wait for Thanksgiving. = ) So much fun! The salads sound so tasty! that apron is too cute-and those salads sound delish! What a great recipe!!! I really want to try this. yummy! and that apron is just too cute!